It’s about time we spoke about periods. It’s a subject that has even us women cringing. We can’t talk about it with men because they don’t get it. But, we tend to shy away from it, even with our girlfriends. Why? Who knows. For some reason, period has become a dirty word. It’s past time we broke the stigma by saying all the things we’ve been silent about! The pain we experience during our periods is, by far, the worst part. And, it’s not just the period itself. In the lead-up, our hormones tear us apart. Our breasts ache, our stomachs bloat. In short; it’s a terrible time. And, when the time does come, it feels as though there’s a small hedge trimmer in our wombs. Standing still is difficult, and all we want to do is snuggle with a hot water bottle. Forget about exercising like the tampon adverts claim we can. Leave us to rot for four days, instead. 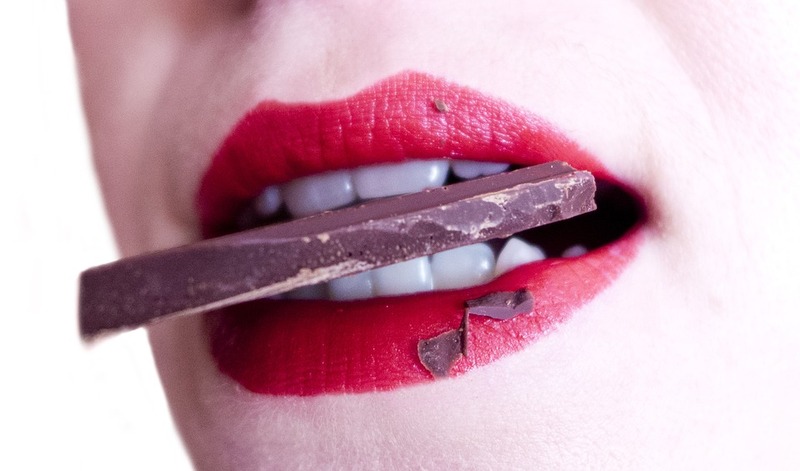 Many of us are reluctant to ask for chocolate during our periods. It’s an embarrassing stereotype and an insult to our femininity. But, there’s no denying that the chocolate thing is real. Come on ladies; just admit that you need chocolate during your time of the month. And, this craving doesn’t come about because we’re soppy women, either. There’s scientific evidence that our bodies crave chocolate in an attempt to balance hormone fluctuations. So, there! The crying hormonal woman is another stereotype we like to deny. But, let’s be honest; most of us shed a tear on our periods. It’s time to stop avoiding the issue. Your body is doing something amazing, and your hormones are…well… a little crazy. You’re allowed to let loose and cry if you want to. It doesn’t mean you’re hysterical; it means you’re a human being. Men would cry, too, if their hormones did what ours do! When we’re on our periods, we’re hornier than ever. Worse, guys don’t want to touch the icky stuff. You’re not alone in your suffering. Again, there’s scientific reasoning for the feeling. Progesterone, which often dampens libido, is at its lowest during your period. That’s why you’re climbing the walls wishing he would just get over the blood already! During the dark days, the menopause can seem like the light at the end of the tunnel. But, if you know anyone who’s going through the menopause, you may think differently. Instead of four days out of each month, the menopause gives your hormones free reign all day every day. Worse, it goes on for years. The good news is, there are options to lessen the pain. Things like Caruso’s menopause supplements, and Ladycare menopause magnets could ease the struggle a little. But, that doesn’t make the menopause any more appealing. Haven’t we struggled enough, ladies? One day. One day we’ll be free!